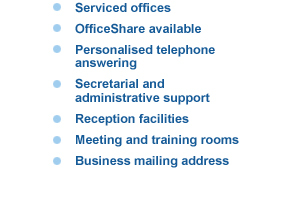 We offer excellent Virtual Office Services which can be tailored to your exact requirements. This is ideal for your first step in Business. Our service is professional and fully tailored to represent your company. We can answer your telephone calls and transfer them to an allocated mobile phone number or landline. We are effectively another member of your staff freeing you to do your every day business knowing that your customers are being looked after in your absence.